Ms Priscilla Poh Beng Hoon touched on an avenue for productivity increase in Singapore ("Utilise talents of older PMETs"; Wednesday). While Singapore has relied partly on foreign labour to boost productivity, there have been social consequences and limits to this method. Over the last two years, our national productivity has gone down with the tightening of rules on foreign labour ("S'pore's growth 'may be hit by restructuring' "; July 15). However, if we can get our "pioneers" and retirees - and not just the older professionals, managers, executives and technicians - to rejoin the workforce, it will boost national productivity. Given that our seniors are living longer and enjoying better health than those a generation ago, the issue is how we can best utilise these resources. It will take an out-of-the-box solution to tap this growing talent pool. In many cases, our seniors should not be returning to what they had been doing before retirement. This is because times have changed and the younger management may not welcome old workers with old ideas. But to employ seniors in low-skilled, low-productivity jobs is not the answer either. We need to review work processes in the public and private sectors, and identify suitable areas to make optimal use of them. There are plenty of areas where experienced workers can add value - for instance, by taking on the roles of mentors, trustees or auditors. However, increasing productivity by getting non-productive seniors back to work has to be government-led. It would require mindset changes at all levels and across all age groups. Younger workers need to take other jobs, leaving the appropriate positions for seniors. Employers have to make it worthwhile for seniors to come out of retirement, and society should not discriminate against them. For their part, seniors need to be prepared to be retrained for jobs different from their previous ones, which may now be better suited for younger folk. 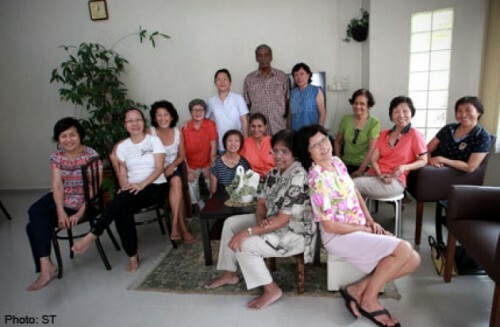 If the Government and the people can get this strategy going, Singapore will become a leading nation in tackling the global issue of ageing populations and productivity growth.